utility, guest wc, sitting room, 3 bedrooms, one of which is ensuite and family bathroom. This property would make a great family home. Rathangan has many amenities including, schools, church, shops, and a vibrant GAA club. This property is situated within walking distance to all of these local amenities. 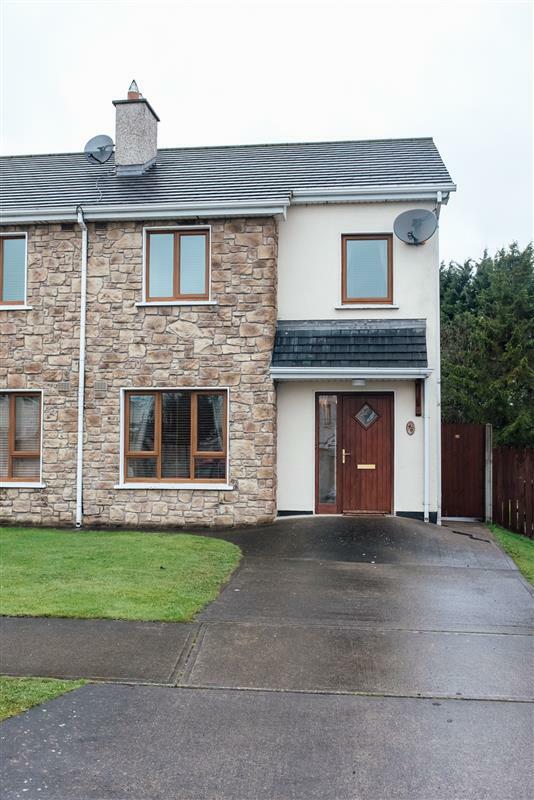 This exceptional house is approximately 10kms to Kildare Village Shopping Outlet in Kildare Town and 16kms to the Whitewater Shopping Centre in Newbridge. Viewing is highly recommended!